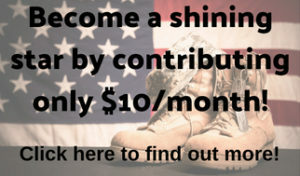 Your purchase of these items helps to keep our center open, which directly aids out local heroes!! Stop by our Bedford Twp. Veterans Center, located at 760 W. Temperance Rd. in Temperance next to the Sunoco Gas station. 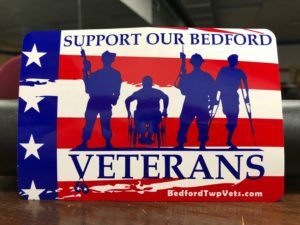 Or send us an email to bedfordtwpvets@gmail.com to submit your order. You can also purchase shirts online here and your shirts will be available for pickup at the center. Tshirts $15 – Our inaugural T-Shirts, come in either red or gray, from size Small to 4XL. 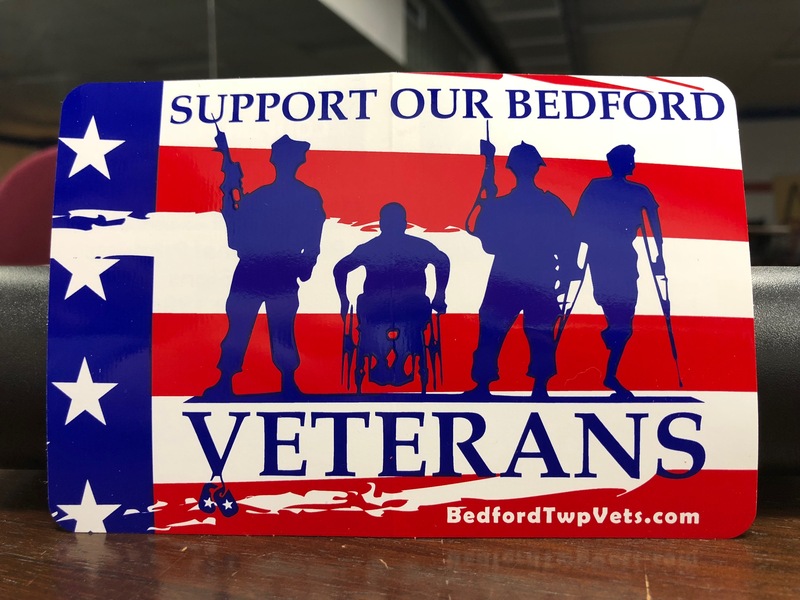 Stickers $3 – Limited edition sponsor stickers with coupons on the back for Forest View Lanes! Coming soon! We will have many more items to purchase in the future. Check back often to find out what we will be offering.